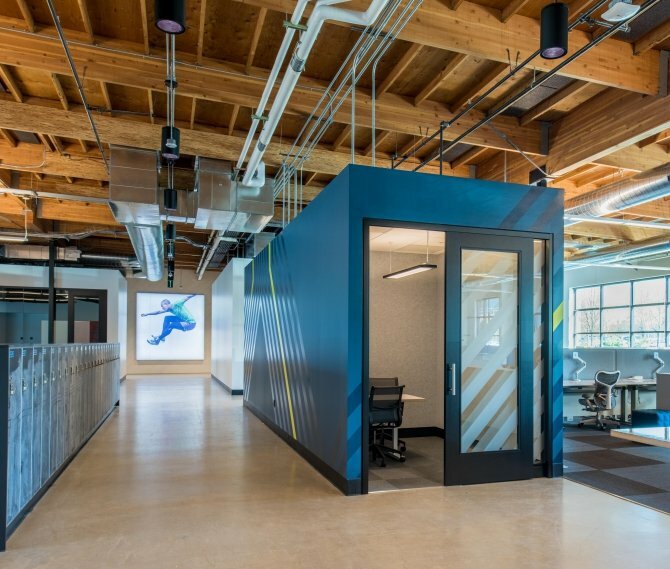 GBD teamed with Hoffman Construction and KPFF Consulting Engineers to design and build a new municipal sports stadium for the city of Hillsboro, Oregon. 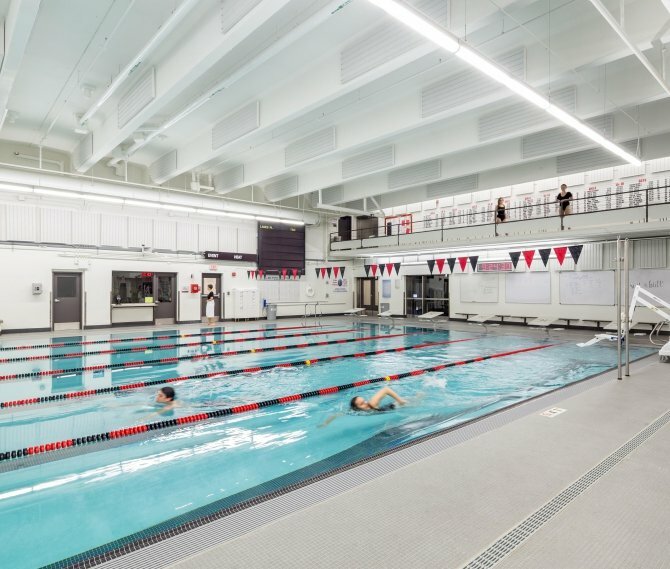 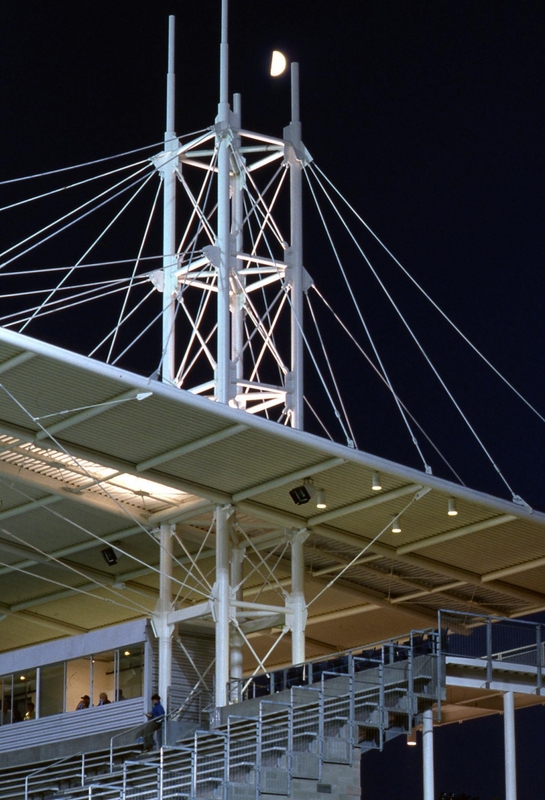 The 4,000-seat covered grandstand structure and auxiliary concessions serve as the venue for local high school competitions and a wide variety of community-oriented sporting events. 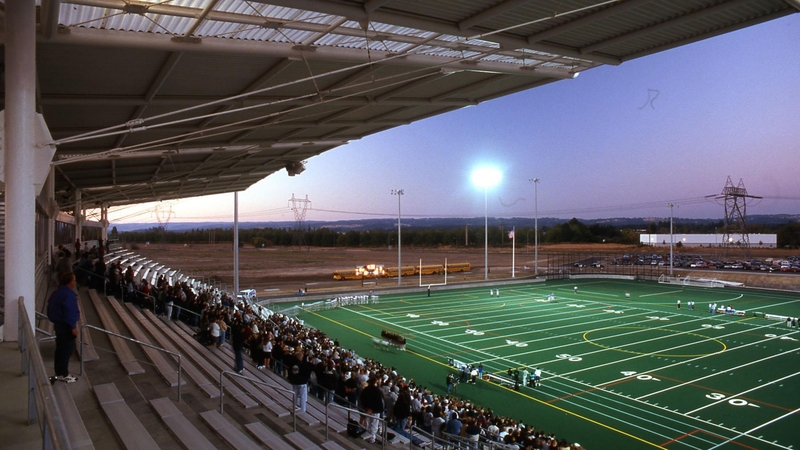 The suspended roof stadium is the focal point for a multi-field complex, which accommodates football, soccer, softball and baseball. 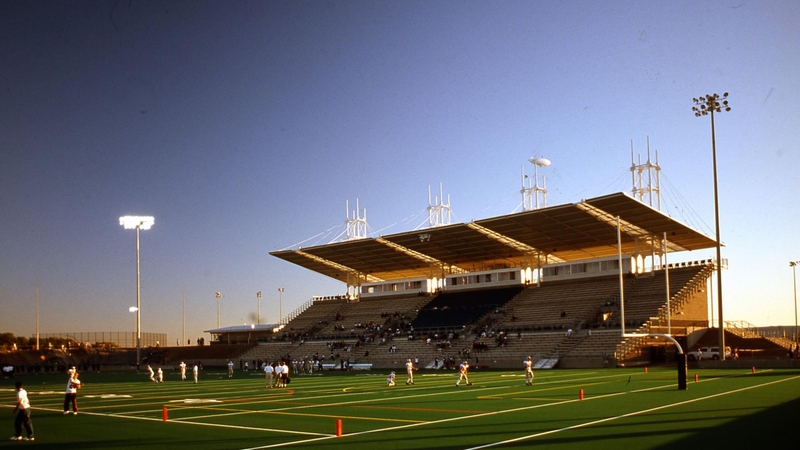 The stadium is comprised of three levels: Field Level, Concourse Level, and Press Box Level. 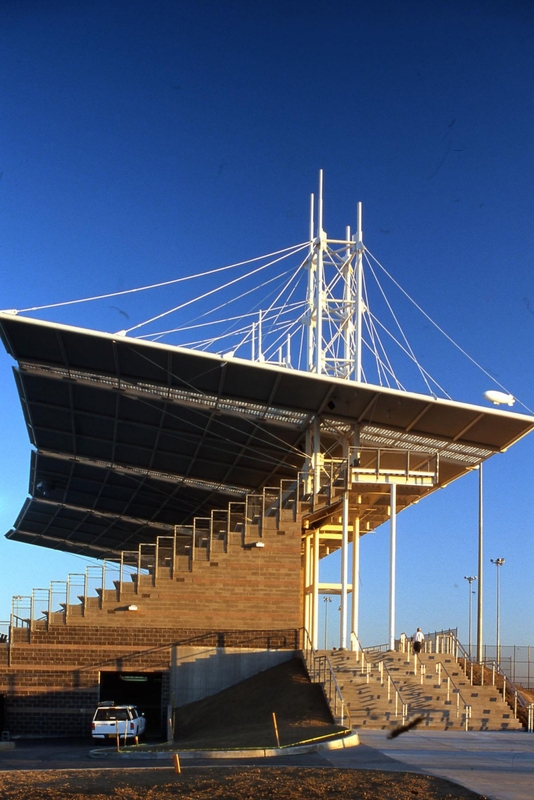 The grandstand seating is a horizontally segmented curve to ensure clear and unobstructed sight lines from every seat. 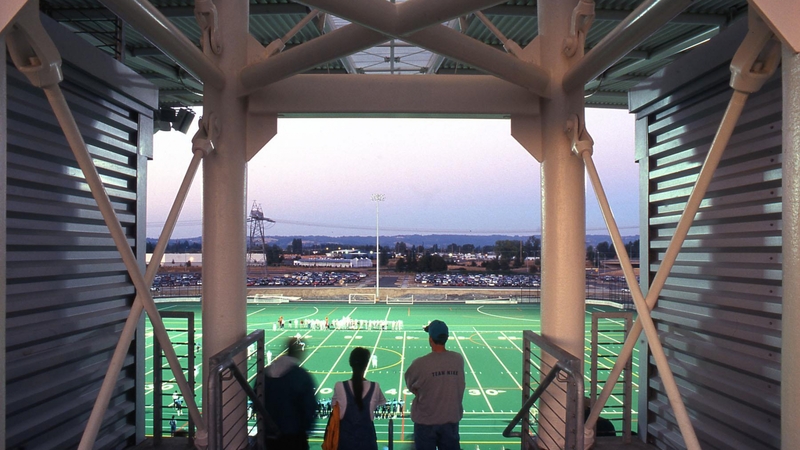 Hillsboro Stadium was completed in 1999.